today is my last day of teaching, and i'm feeling all sorts of sadness in saying goodbye to my students and colleagues. it's hard to transition from something you know you love to something unknown! pray. this is first, because before launching a huge discussion, we needed to first talk to God and listen to what he had to say. this is a joint decision. we're married, so we're a team. even though i'm the one walking around pregnant, any choices we make for the sake of our family need to be made together. consider each person's goals. 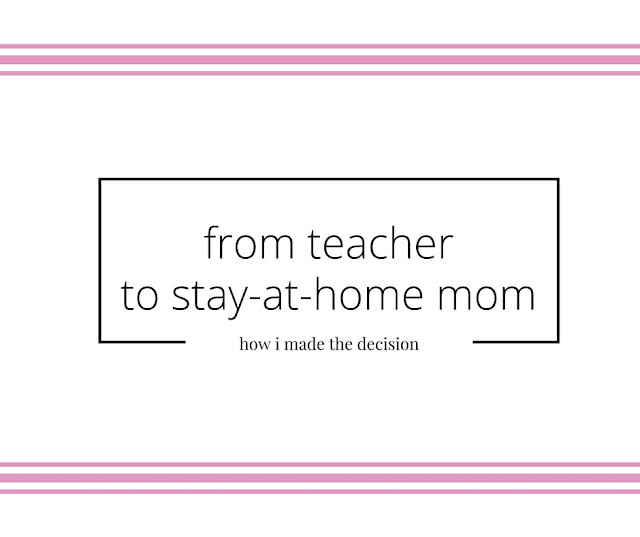 i LOVE LOVE LOVE being a teacher, and to agree to become a stay-at-home mom felt like a death sentence for that dream of mine. while my mom is a now a full-time, wildly successful nurse who has had a full career, she took 15 years off and stayed home with us until my youngest sister was in middle school. you'd think it would have been easy for me to picture myself staying at home with my kids, but when the time came to make that decision, all i wanted to do was keep teaching! and poor devin over there, he works hard as a carpenter but would love to be a stay-at-home dad and do carpentry projects for people on the weekends...except that he makes way more money than i do, so we couldn't afford to have him stay home and me keep working. consider what you believe would be best for the whole family. neither of us felt comfortable putting a 6-week old in daycare/with a nanny (but no judgement if you've done that! ), so realistically one of us would have to take off to stay home with the baby after my 6-week maternity leave ended. that left the decision to go back to teaching next schoolyear: should we put a 7-month-old in daycare? should we get a nanny? i felt more ok with putting a 7-month-old in daycare, but devin didn't. 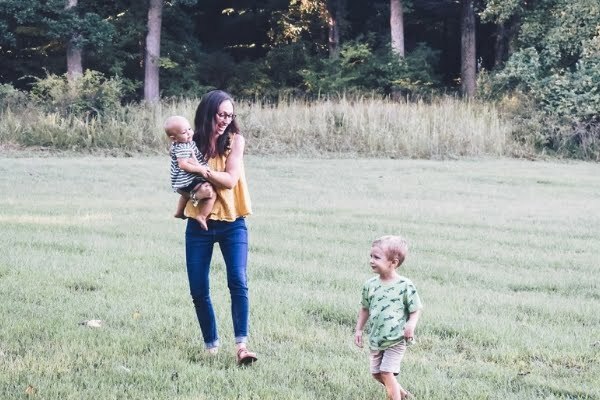 we talked and prayed about it, and since he was so opposed to the idea, we eventually decided i'd take a few years off to be at home with our little one. compromise, when possible. 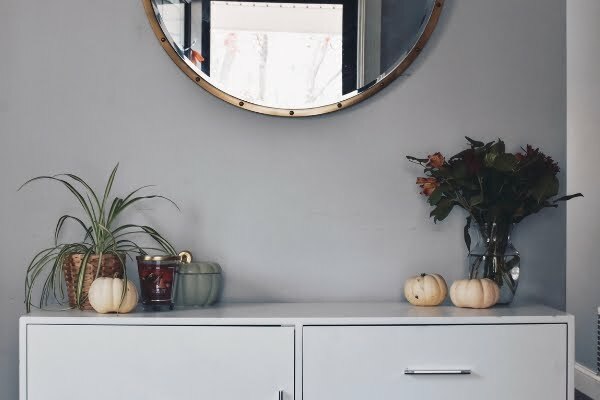 this is a huge "duh" for any conflict resolution process, but it really helped me with admitting i could stay home full time. devin and i talked about how i could be a substitute teacher one day a week next year (and just keep a babysitter on retainer for that one day each week). 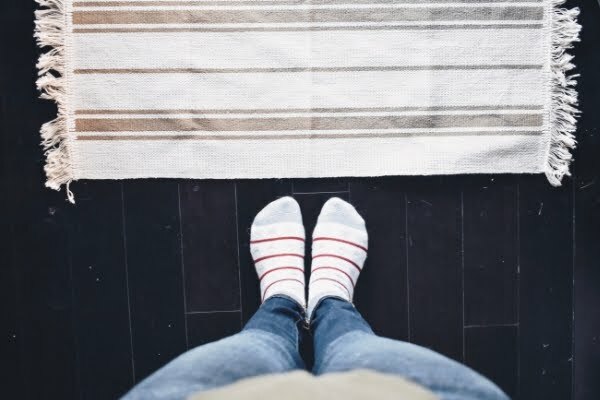 the prospect of still being able to be in the classroom (next year, in small doses) helped me feel like my teaching career wasn't being totally shut down. and ultimately, like i said in this post, teaching is a dream i can come back to. i won't get back the opportunity to stay home with my little one! despite my sadness in leaving my dream job, i'm thrilled to get to spend time with the baby, and i really appreciate devin working so hard at his job so that we can afford for me to stay home with our precious son. how do you make big life choices? any big changes coming up on your horizon?